Park Model/Home and RV Lot Security Deposit and Rental Payments: A minimum deposit of $300 per stay is required for all reservations. Deposits must be received by Hutchinson Island Real Estate at the time of making your reservation. Personal checks, money orders, VISA, MasterCard, and Discover are accepted for final payment only within 60 days of arrival in US Dollars only. There will be a $35 service fee for all returned checks. Balance of payment is due within 60 days prior to arrival or reservations will be canceled. All deposits are held in a non-interest bearing escrow account. Deposits are never applied toward rent. Deposit disputes will be resolved in accordance with applicable Florida Statutes. A NON-REFUNDABLE booking charge is charged for each reservation. Check-In Time/Check-Out Time: Check-in time is 3:00pm and check-out is 11:00am. You may request an early check-in for 11:00am or a late check-out for 3:00pm at an additional $25 charge. Arrivals after 5:00pm will report to the security gate for arrival packet and keys to property. Security will assist you in any questions you have upon arrival to your vacation rental. You will be required to stop by the office the following morning to register your vehicle and pets. NO ARRIVALS AFTER 11:00PM WILL BE ACCEPTED! Upon check-out, all tags and keys must be returned to the Rental Office or Security (before office hours). Any items not returned upon check-out will be charged against the retained security deposit. Cancellation/Date Change: Reservation cancelations within 60 days of arrival are NON REFUNDABLE. If you must cancel your reservation prior to the 60 day deadline, you must do so by contacting Hutchinson Island Real Estate directly at (772) 229-1300. Prior to 60 days from arrival, monies paid for rent will be refunded but all other monies paid for other charges will be kept and are deemed non refundable. No refunds will be given for late arrival or early departure. Damage/Security Deposit: A Hutchinson Island Real Estate reimbursement check or credit to your original credit card account for your deposit will be issued to you within 21 days of departure providing all rental conditions, policies and provisions are met, including but not limited to (a) NO damage to the rental unit or lot or its contents, (b) there are no missing or damaged items, (c) number of guests did not exceed the maximum capacity of rental, (d) there was no smoking in units (e) no pets were in a non-pet unit and no pet was that of a restricted breed of that community and (f) all keys and recreation tags are returned to the office at check-out. If any are lost, you will be charged $100 for re-keying of the lock and $25 for each recreation tag lost. Pet Policies: Only some units are considered pet friendly. For rentals that do accept pets, a $200.00 NON REFUNDABLE pet deposit is required. YOU MUST FURNISH YOUR PETS IMMUNIZATION RECORDS from your veterinarian prior to arrival. Your pet must be current on rabies vaccine. Each community has restricted breeds. Please be sure that your pet is one that is allowed within the community you are staying. If you are caught with a pet that is restricted within the community, you may be asked to leave and no monies will be refunded. If you are staying within Nettles Island, you will be required to register your pet with the community. Substitution: We reserve the right to substitute comparable accommodations without notice or liability should the rental unit or lot become unavailable. When comparable accommodations are not available, you will have the option of selecting from available properties at the published rate or receive a complete refund. Management: ALL RENTALS are PRIVATELY OWNED. 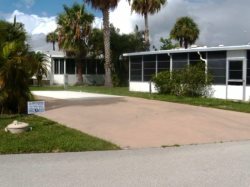 Hutchinson Island Real Estate is the property rental agent on behalf of the owner. We reserve the right to refund deposits, refuse rentals and discontinue occupancy, if in our opinion, the renter is detrimental to the property. Any reservations obtained under false pretense are subject to forfeiture of all funds collected. Authorized employees may enter the premises for any purpose to manage the rental. Hutchinson Island Real Estate is not responsible for accidents and/or injuries to the guest or for loss of valuables. Cleaning Fee: All units have a onetime cleaning fee which varies from unit to unit. If the unit is left in condition beyond normal and requires additional cleaning services, Hutchinson Island Real Estate reserves the right to charge for additional cleaning. The additional charges will be directly deducted from the credit card or checking account that you have on file. Electric Charges: All units and lots have an electric charge of $5 per day. This per day charge includes unlimited electricity. This charge is paid in advance and will be collected upon final payment of your reservation. Renter and Guest ID Tags: For security purposes and use of all community amenities, RENTERS and GUESTS must have a recreation tag on them at all times. At check-in, you will receive ID tags for those in your party (maximum of 4). Additional ID tags are available at the check-in desk, security or condo office for a deposit of $25.00 per additional tag needed. Any tags that are not returned upon check-out will be charged $25.00 per tag. Rates: Rates are subject to change without notice. Sales and resort tax, cleaning fee, electric charge and reservation fee will be added to quoted rates.